On the road leading from Fronsac to Pomerol morning mist swathes the countryside with mystery. 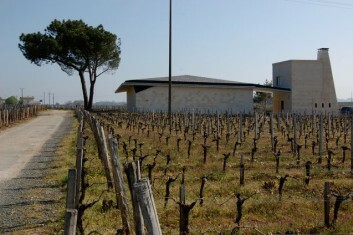 Just the dramatic touch needed before starting the week with some of the biggest names in St-Emilion and Pomerol. The day begins at Château Ausone, marvellously subtle and racy. A few kilometres farther along the sun reappears, shimmering on the wisteria at l’Evangile. I admire the tactile dimension, the enveloping touch of the wine here this year, a morning treat. Just next door, at Vieux Château Certan, the same wisteria greets you, but not the same wine. In the chais Alexandre Thienpont, speaking of his 2011, affirms with humour “It’s a serious wine!” Then he explains “The prettiest vines didn’t give anything in this vintage. It’s the scrawny cats that made it, those who just kept holding on for a very long time. And it’s the big comeback for Cabernet Franc at VCC!” The smile lighting up his face is justified; Vieux Château Certan is one of the great wines of the vintage! How to recognise a great wine? By that sensation of absolute obviousness, that originality of taste, that depth which immediately imposes itself. Yes, you say, and if another is even greater? If indeed there exists a greater wine then I would think we were in the presence of an exceptional vintage. And do we really want that? The rest of the morning associates three great but different expressions of Pomerol, from the famous plateau of Pomerol but different terroirs. Two 100% Merlots, Le Pin (whose little chai, all new, all contemporary, floats like a UFO on the road to Madison) and Pétrus, all abuzz like a hive when the beekeeper arrives. Olivier Berrouet and Jean-Claude are there. The former likens the 2011 to 2001 but with a bit more depth. And compared to 2010? “It’s different, more tannic but less rich. It was especially important not to overextract and overoak. In 2009 and 2010 one had to try hard to make a bad wine but in 2011 one has to try hard to make a great wine”, explains Olivier. “It’s a thirst-quenching vintage”, he concludes, not without irony. A stone’s throw from here and a bit off to one side and we’re at Château Lafleur. Le Pin and Pétrus were all ablaze but Lafleur will be another of the morning’s jewels. At the same level as VCC, I would say. In other words very high. 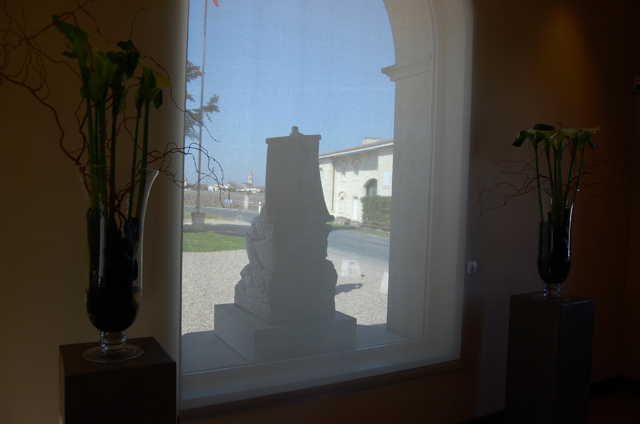 One hour later I enter the tasting room at Château Coutet. It’s a hive again, but different honey. Without a doubt we have here a fine vintage with a series of high-level liquoreux, the principal characteristics being dynamism, freshness, and the absence of heaviness in spite of richness often superior to last year’s. 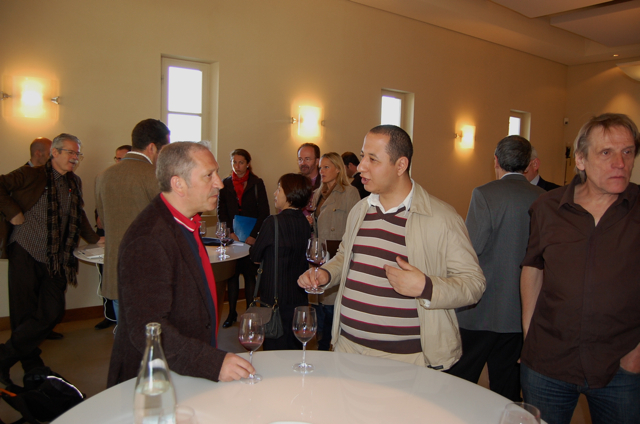 The aromatic purity of most of the wines was also surprising. A very pure botrytis can be perceived. At this stage the only limit would be a comparative lack of complexity. Be that as it may, the success of Sauternes-Barsac in this vintage is brilliant, a reason to rejoice knowing the vocation necessary to produce these wines. It’s late afternoon, time to head over to Château du Tertre in Arsac where the opening dinner of the UGCB is held. The waning light is superb this evening. Eric Albada, the proprietor, greets each guest at the entrance. Victim of an accident a few years ago, Mr. Albada is quadriplegic. He also had to re-learn to speak. His speech on the role of wine in our culture is thus all the more moving.